Featured in main subscription box on 11 January 2018. Find the brewery on Twitter at @atombeers and on Instagram at @atombeers. This is an American style amber ale, so expect something similar to a pale ale only with more malt body and a crisp hop bite. “Imagine there is a cat in a box. Quantum mechanics implies that the cat remains both alive and dead until the cat is observed. At this point Schrodinger’s Cat was born. We know the hops used – which gets Atom extra Good Brewer Points from me. We also know the malts used (Pale, Cararuby, Munich, Special B, Melanoidin) if you really want to nerd out and try your google-fu to see what impact that might have on the flavour. With their extra bit of bite, amber ales usually pair well with strong, spicy food and bold, sweet desserts. While that leftover Christmas stilton may overpower a beer like this, milder blue cheeses should prove a pretty good match. If you’re after a dessert look to flavours such as caramel, ginger, baked apples of bananas, and even persimmon. Fancy. 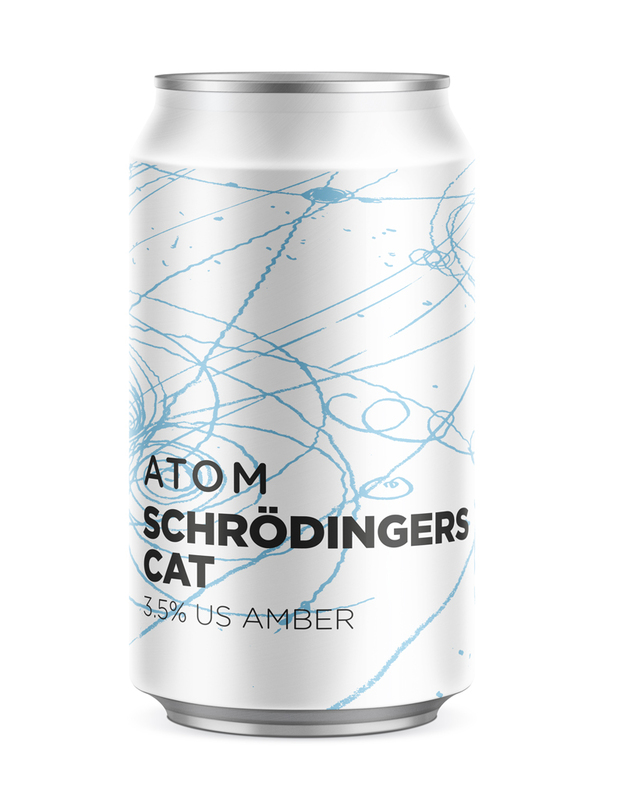 Read more on this beer from BeerBods and Atom Beers.